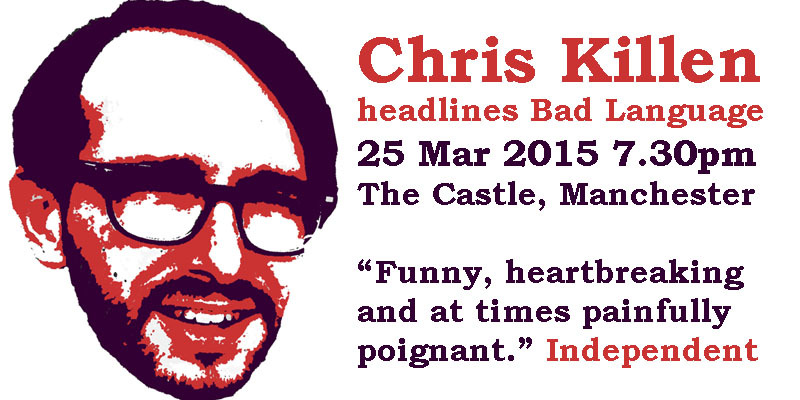 CHRIS KILLEN will be our March headliner. His much-awaited follow-up to The Bird Room is In Real Life, a tale of a love triangle, hopes of stardom and the ubiquity of social media. The Independent called In Real Life “funny and poignant”, while the Financial Times rather brilliantly called the book “a historical novel about the internet”. Oh and the Daily Mail told him to “cheer up”. Here is Chris writing about lost friendships. And here he is interviewing himself.